The ProFyre addressable detector range has been designed to complement the ProFyre A4 and A2 analogue addressable control panels & the ProFyre T8 2-wire system. The range has been housed in a stylish and attractive moulding with 360 degree LED indication. 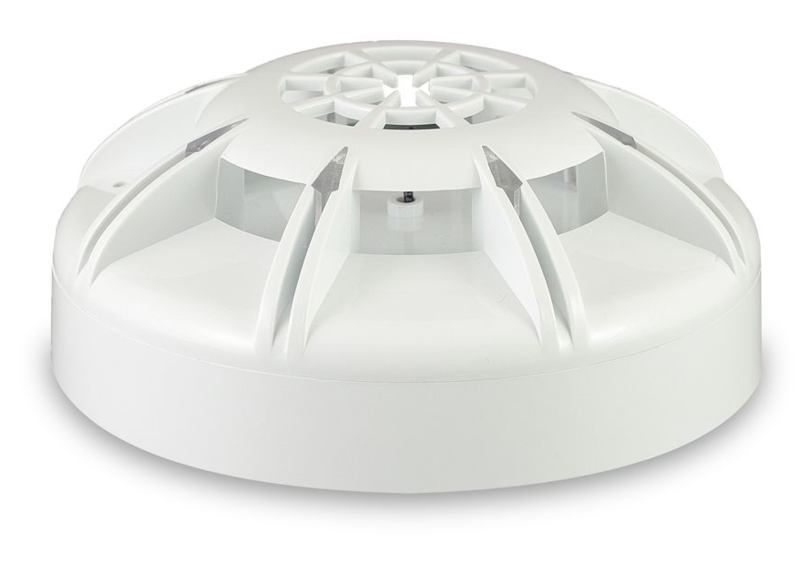 The addressable range comprises of an optical smoke detector, rate of rise heat detector, fixed heat detector and a combined smoke and heat detector. ProFyre A1R Heat Detector (Rate of Rise) The rate of rise heat detectors use a thermistor arrangement to sense a quick rise in temperature and also a fixed threshold temperature of 57°C. ProFyre CS Detector (Fixed Heat 90*C) The fixed heat detector has a single thermistor arrangement that initiates an alarm at a temperature of 90°C.